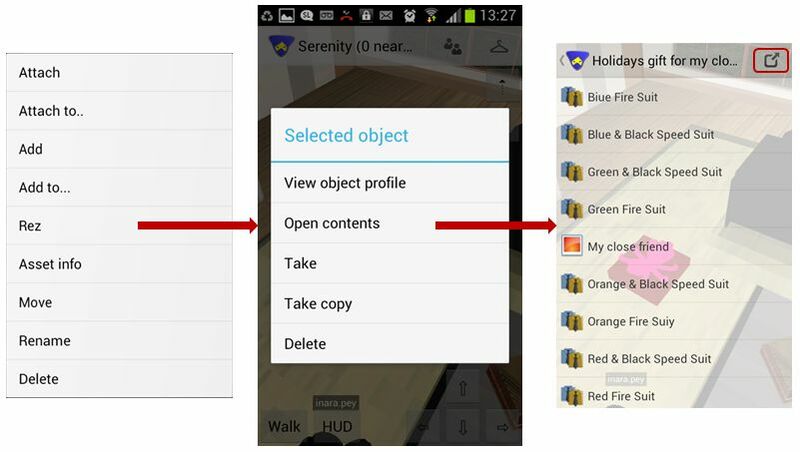 Lumiya, the SL / OpenSim viewer for Android has seen two further updates since my last review. Version 2.4.3, released on February 16th, primarily saw the addition of flexiprim support in the 3D view, and the option to teleport to an avatar as well as some nips, tucks and tweaks. Version 2.4.4, release on March 7th added object rezzing options and inventory-taking option to Lumiya as well as the ability to create landmarks. Taken together, both updates significantly add to Lumiya’s capabilities, and as I had a little free time, I took version 2.4.4 for a spin to try all the updates out. Teleporting to an avatar using Lumiya is a simple matter of selecting them from your Friends list, the Nearby list using a long touch and then selecting Teleport To from the pop-up menu. You’ll be asked to confirm the action – note that Yes is on the RIGHT of the confirmation dialogue; clicking it will teleport you to the avatar (or any landing point near them, if one is set at their current location). 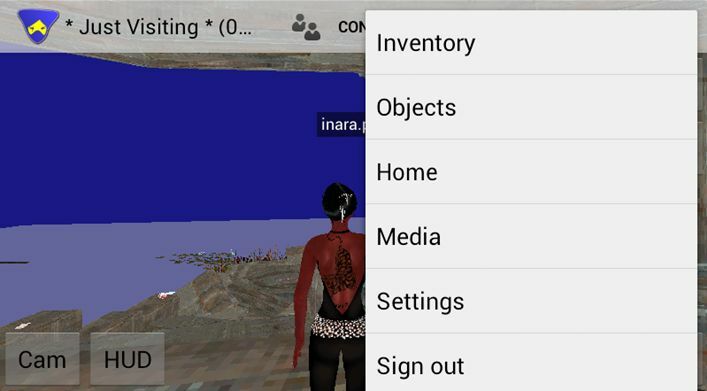 To create a landmark at any time, display your inventory, then click on the Landmark icon displayed in the bottom right of the inventory window (portrait display) or top right (landscape display). If the icon isn’t displayed in the latter view, tap the Menu button on your device and select Create Landmark from the displayed menu. Note that you can access inventory either from the Lumiya Suitcase icon when in text view or in the 3D world view. If the icon isn’t visible in the latter, tap the menu bar on your device to display a list of options – inventory access should be at or near the top. Rezzing an object in-world in Lumiya is a simple matter of locating the object in your inventory and then long-touching it to display a pop-up menu. Tap Rez on the menu then confirm you wish to rez the object in-world in response to the dialogue displayed. Assuming you have object entry / rezzing rights for the parcel you are on, the object will be rezzed in-world. To display the contents, long-touch it (note that you may have to adjust your camera position to select the object, particularly if it is rezzed on another touchable object), and select the Open option from the displayed menu. An inventory-like window is opened to display the contents of the object, which can be copied / moved to your inventory by tapping the Copy button at the top right of the contents window. Versions 2.4.3 and 2.4.4 see improved handling of large meshes, improved notification settings and assorted bug fixes. The flexiprim support in the 3D world view works well, although rendering things like flexihair when in motion may result in slight oddities; for example, when walking, my hair tended to all but vanish at times, but would quickly come back once I stopped, and Lumiya reproduces SL’s signature “hair flair” – long hair flairing out behind your avatar like a comet’s tail – very well :). Overall, these have been two somewhat “low-key” updates for Lumiya compared to recent passes (mesh support et al). However, I know that 2.4.3 marked another milestone for Alina, as she’s been working on getting flexiprims to work for the last several months – so it’s good to see she’s succeeded. The ability to rez / open objects adds another fundamental capability to Lumiya, as does the ability to create landmarks. All-in-all, another good set of updates which once again increase Lumiya’s attractiveness as a very capable means of accessing Second Life and OpenSim while on the move. My only real issue with the viewer is that if Alina keeps developing Lumiya, I’m going to have to go out and buy a Tablet just so I can really enjoy using it! 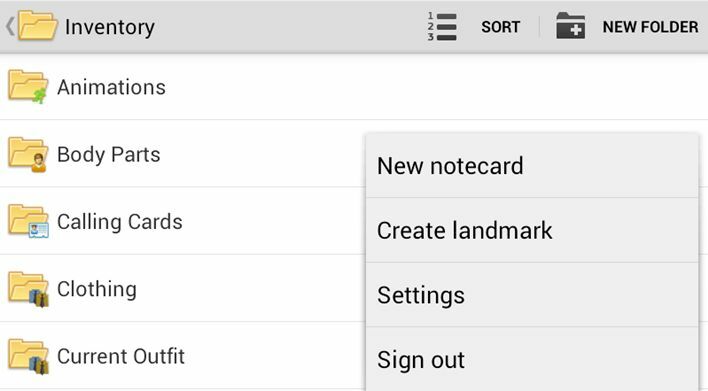 :D.
Just had a look at this on my Nexus 7 – it’s looking very good now. I’m dreading Alina adding any capabilities ofr content creation (if at all possible). Not because I think it’ll ruin Lumiya – but rather because it’ll mean I will have to go by a tablet in order to play effectively with Lumiya’s features, and so far I’ve managed to avoid the tablet revolution / hype (yes, I’d a luddite at times… 🙂 ). More seriously, Lumiya is maturing at a rapid rates of knots and fast becoming as capable as any full-blown viewer for carrying most functions within SL. Yes, the graphics don’t match the quality of rendering capable in a full-blown viewer, there’s currently no windlight, etc., – but what Alina has packed into Lumiya is astonishing.